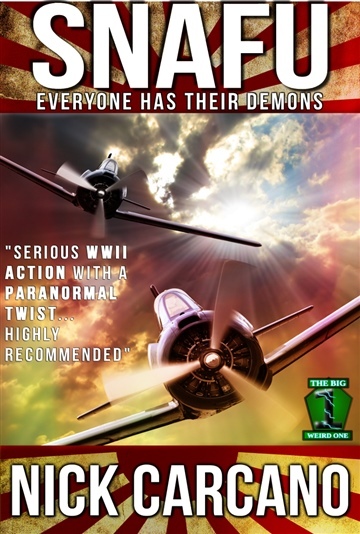 When most of Matt Turner's fighter squadron is destroyed by Japanese Zeroes with demonic protection, he expects his after-action report to land him in the loony bin. Instead, he finds himself recruited by a shadowy government agency to test a supernatural countermeasure before the Japanese strike a deathblow against the U.S. Navy and win the war in the Pacific theater. Nick Carcano spent his formative years pulling cactus out of his feet and listening to coyotes howl in the California high desert. He speaks rusty Mandarin Chinese and Spanish. When he's not writing his day job is saving the world which sometimes involves shooting zombies, but usually involves a lot of e-mail.